Overall, I am liking what CA and Sega are putting down this time around. The four races feel so different from one another - from the Skaven's "get in, get what you need, and get out" settlements to the political intrigue of the High Elves - and having a set goal/objective that you're racing towards in competition with the other factions gives you a bit more purpose in the campaign this time around. There are a couple things with the co-op that I wish were better, such as being able to get into the details of your friend's lords/cities more to help out when needed, but it's still a step up from the previous entry. Mike and I cover a lot of ground in the stream recap and talk about what's new/different, even while we don't cover a lot of ground in the game itself, which isn't too unusual in this title, to be honest. 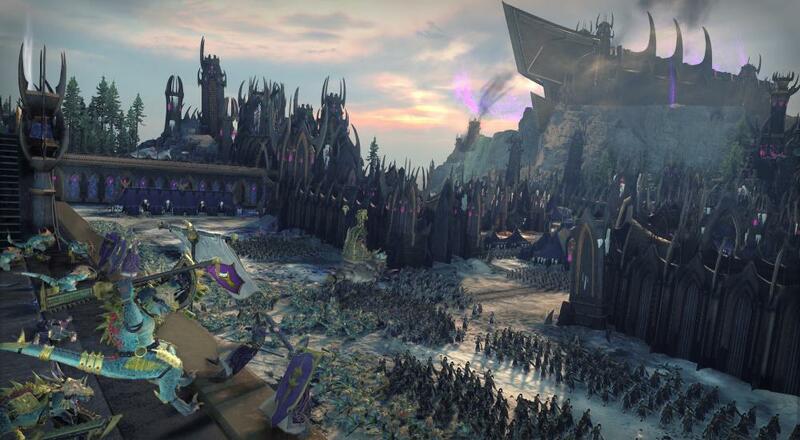 Total War: WARHAMMER II is available now on PC via Steam. It supports two player online or LAN co-op in the campaign, with each player playing a specific Lord/faction of the same race (i.e., Dark Elf, High Elf, Skaven, and Lizardmen), and it supports up to four players online, LAN, or some combination of the two in "Multiplayer" battles against A.I. foes (i.e., "comp stomping). Page created in 0.9047 seconds.